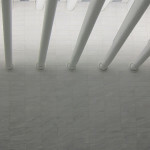 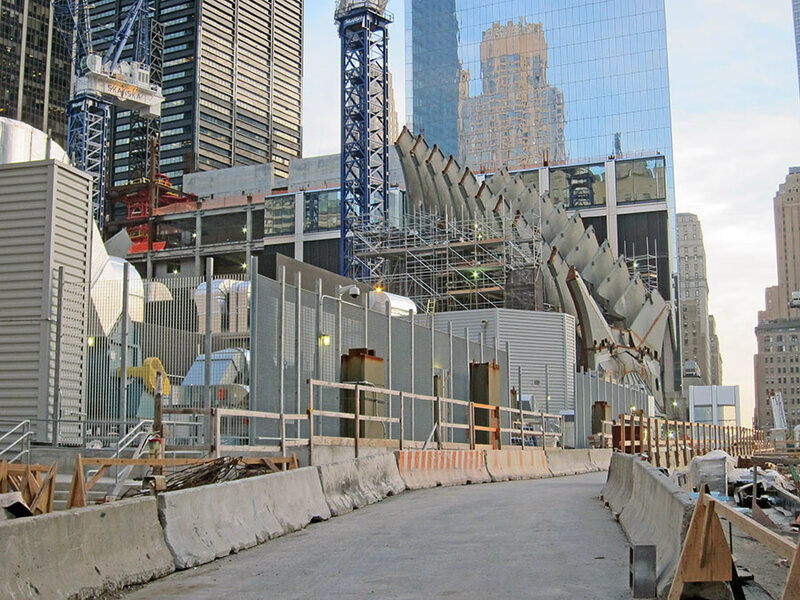 Above ground, Santiago Calatrava‘s bird-like transit hub at the World Trade Center is just beginning to take flight, but underground, the first section of the project is already soaring. 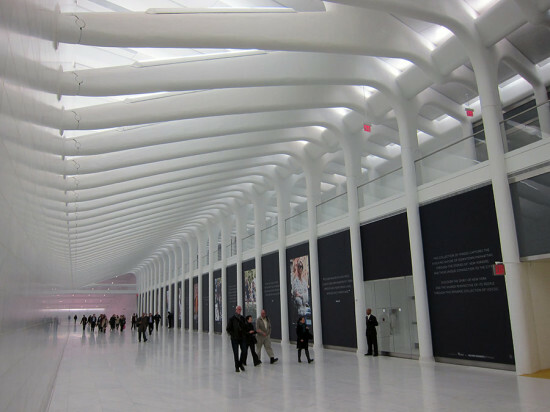 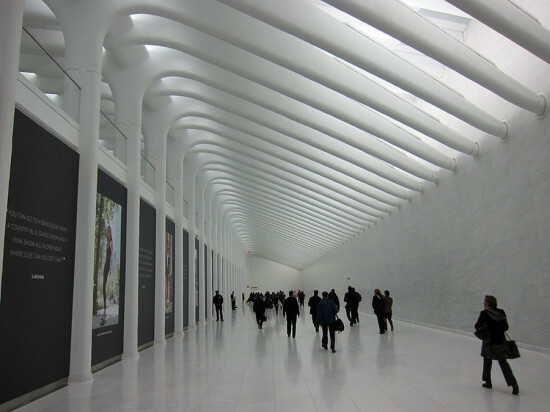 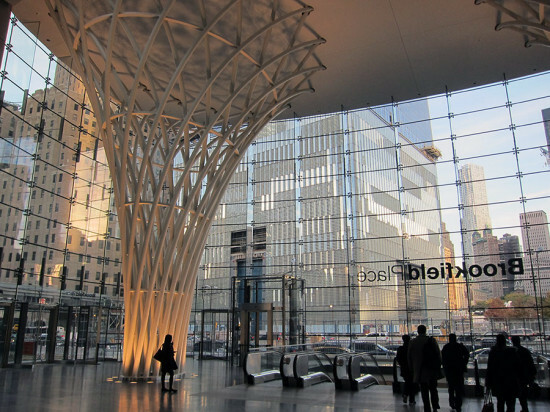 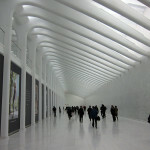 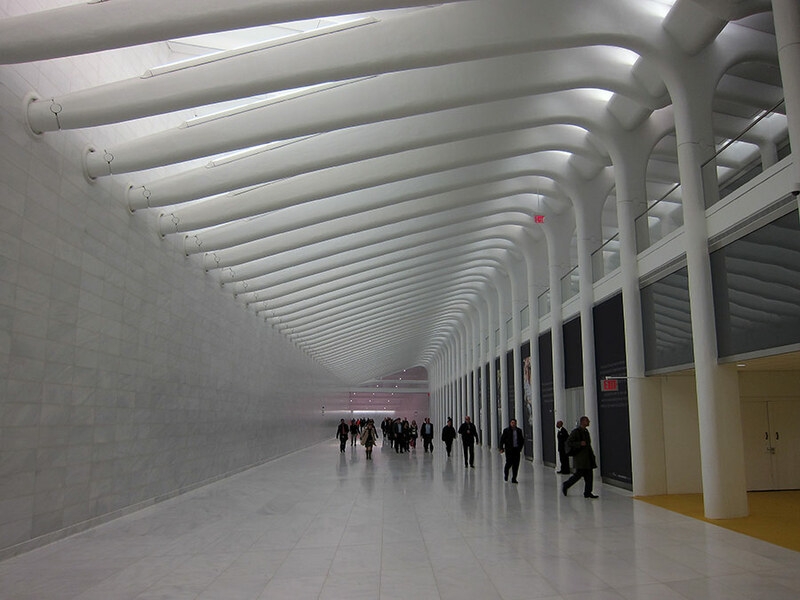 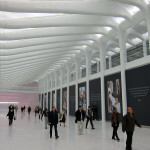 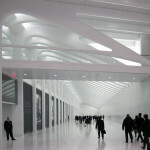 Officials cut the ribbon on Calatrava’s West Concourse tunnel connecting the World Trade PATH Station and Brookfield Place (formerly the World Financial Center). 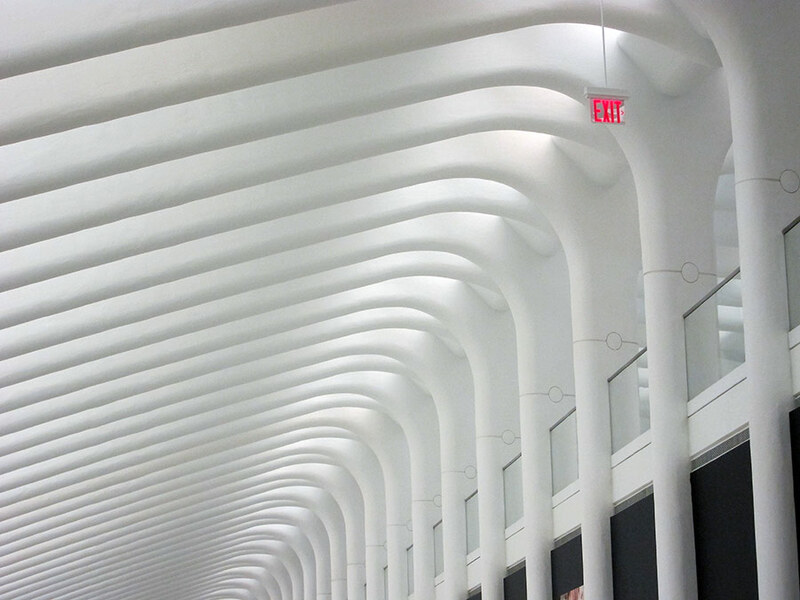 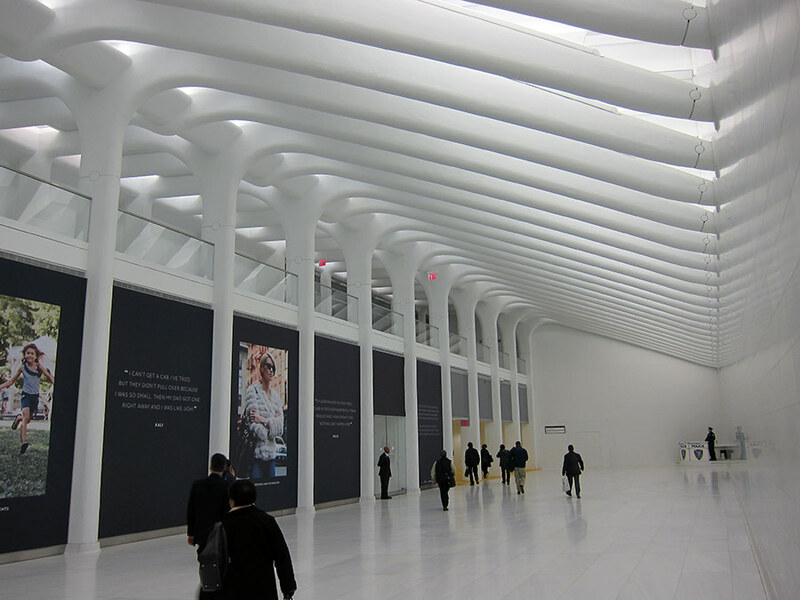 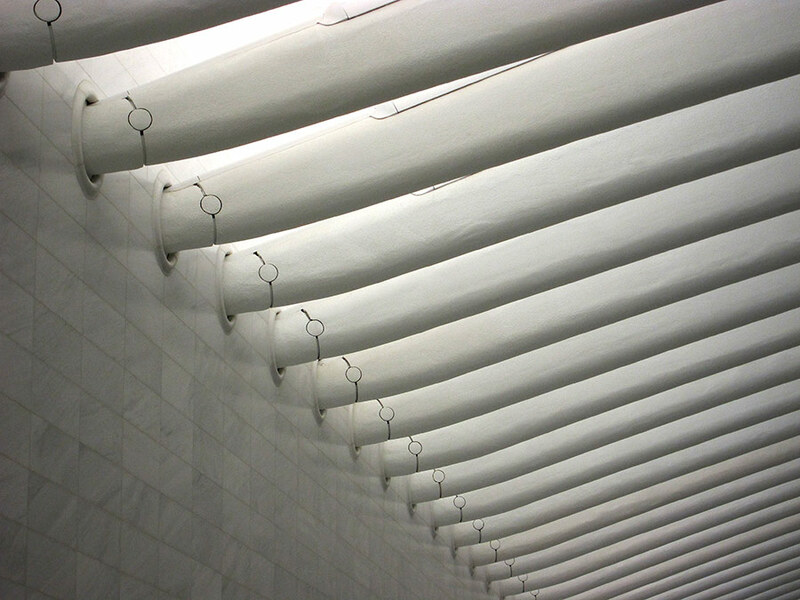 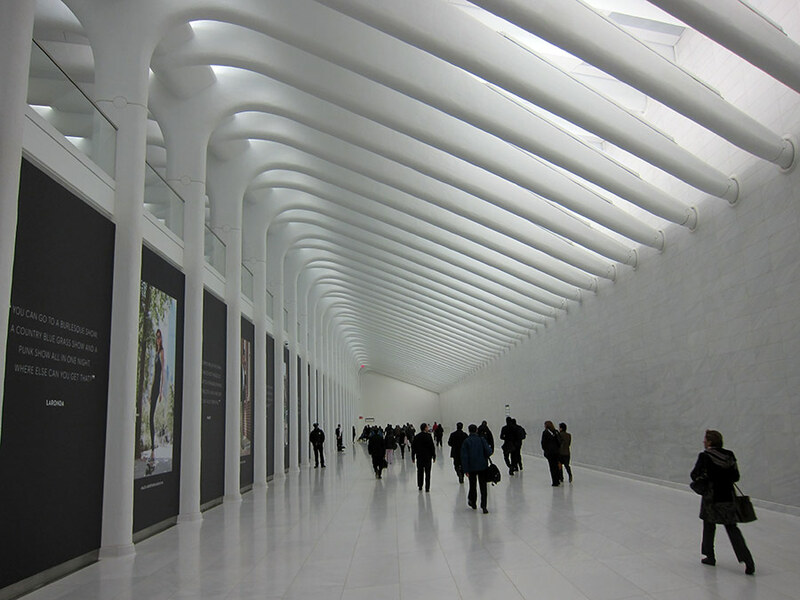 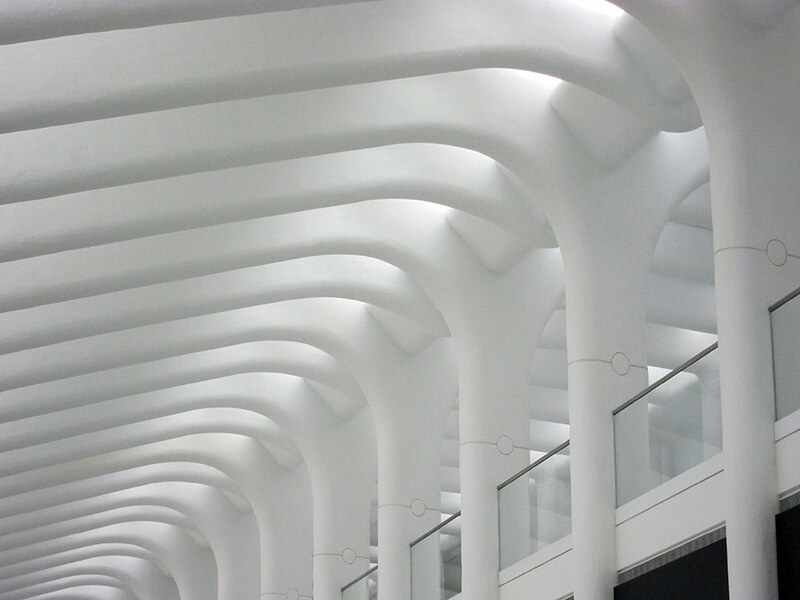 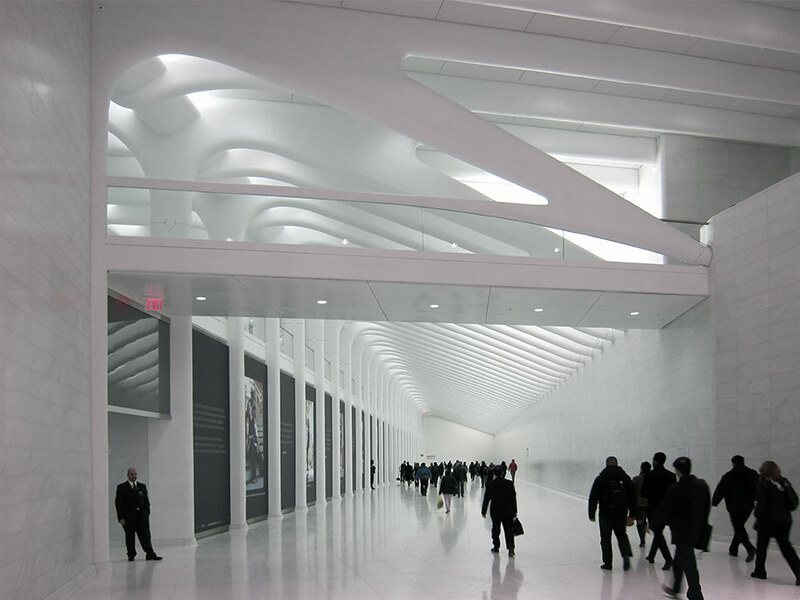 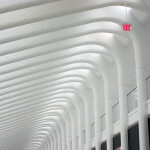 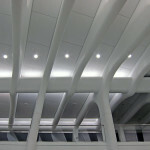 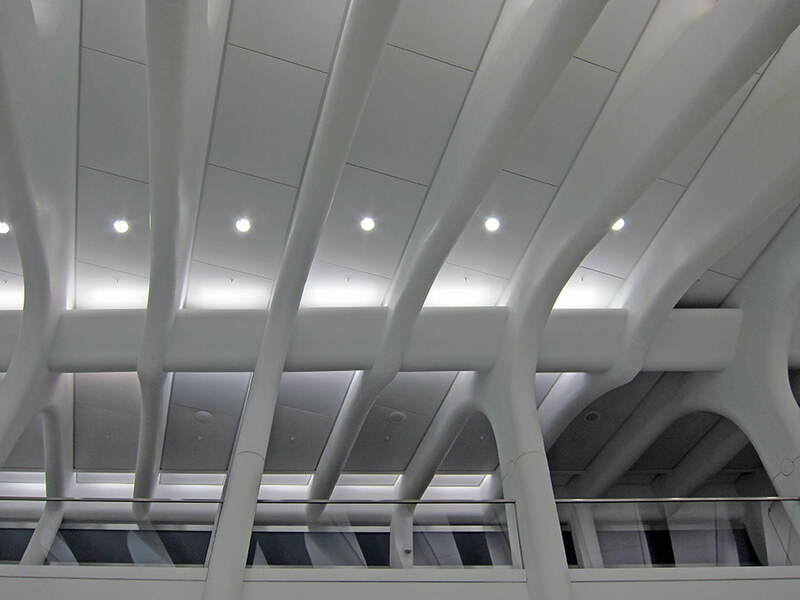 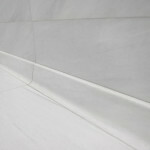 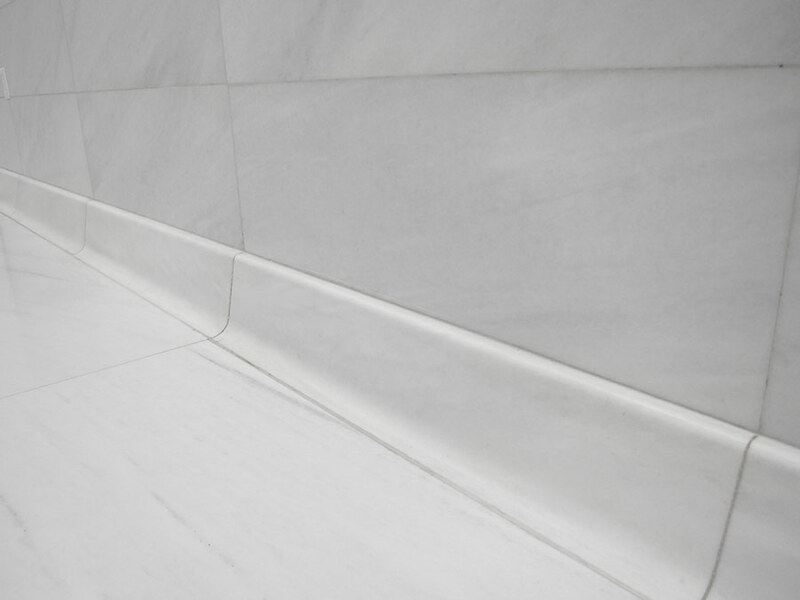 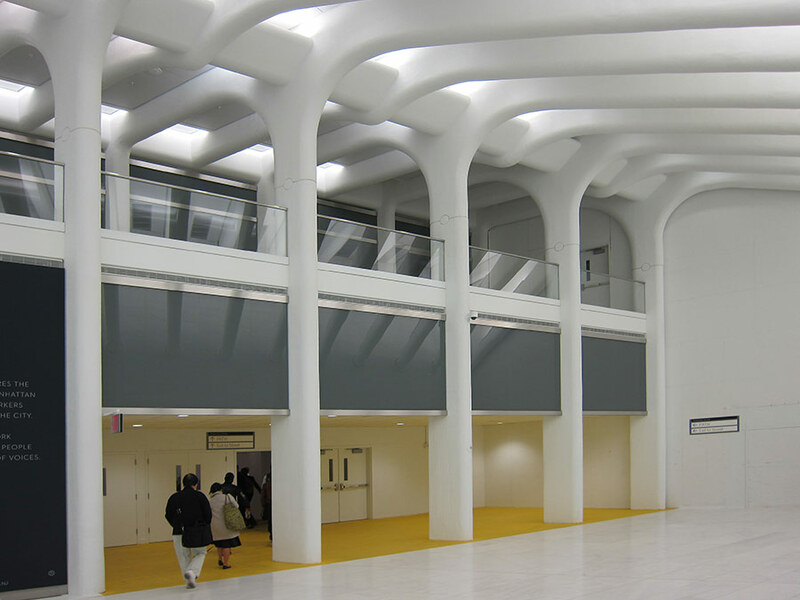 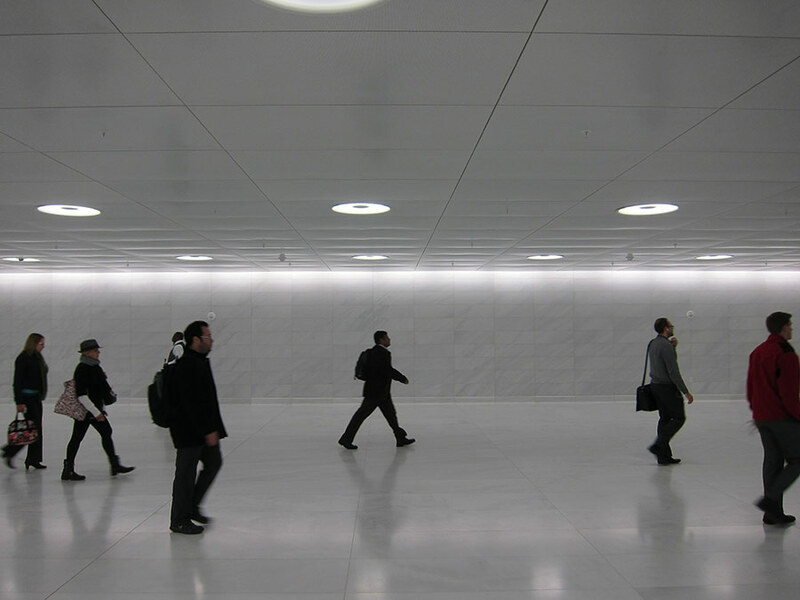 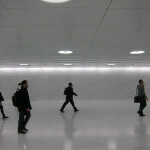 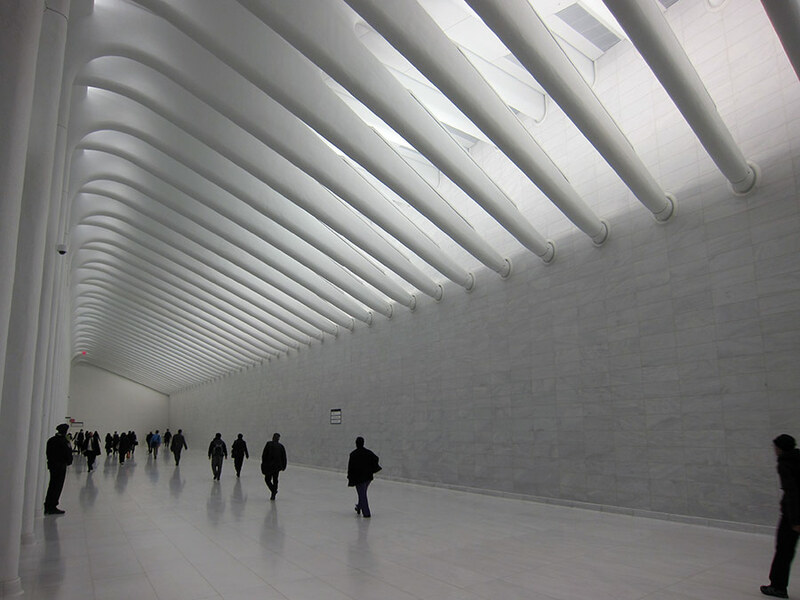 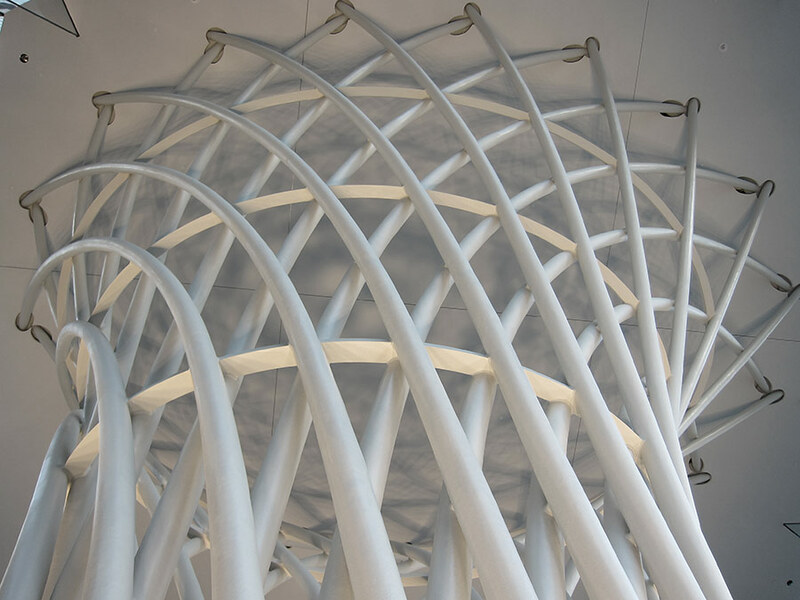 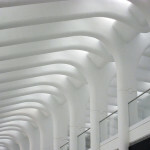 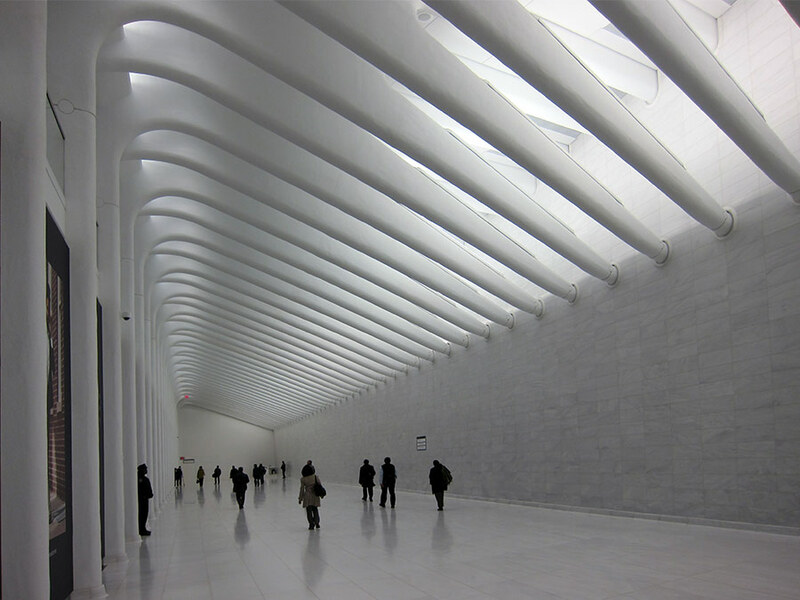 Comprised of sculptural steel ribs set against pristine, highly-polished white marble, the new space makes taking transit feel almost like a religious experience. 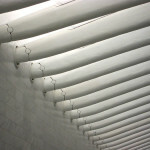 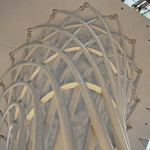 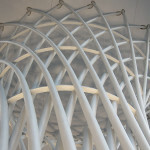 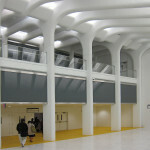 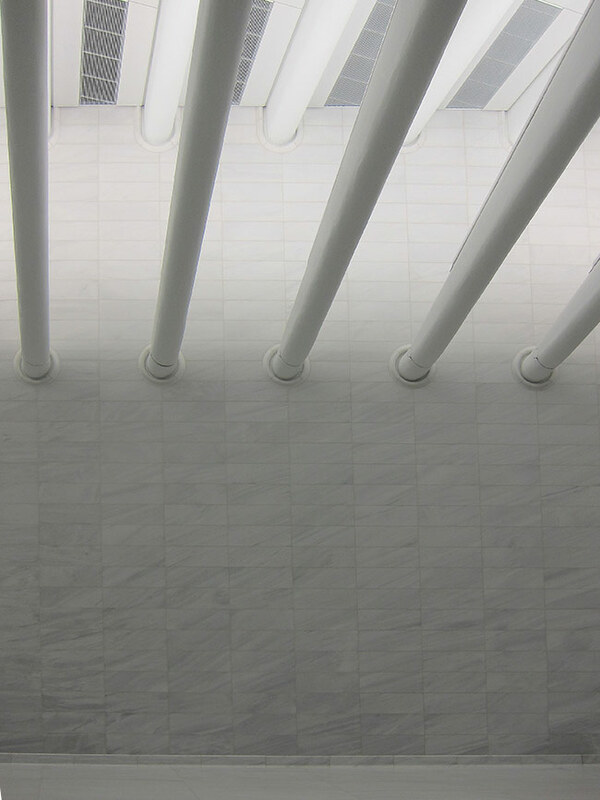 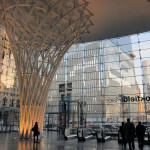 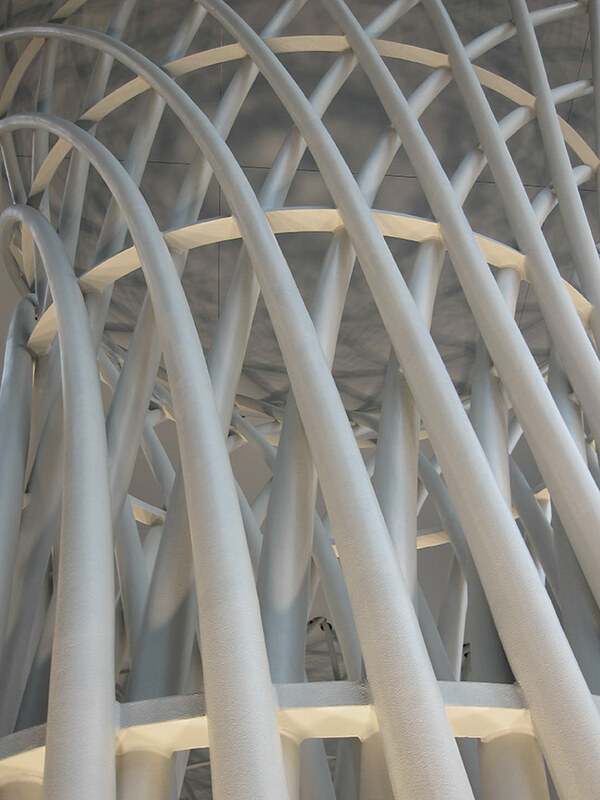 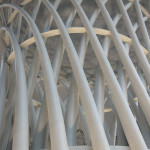 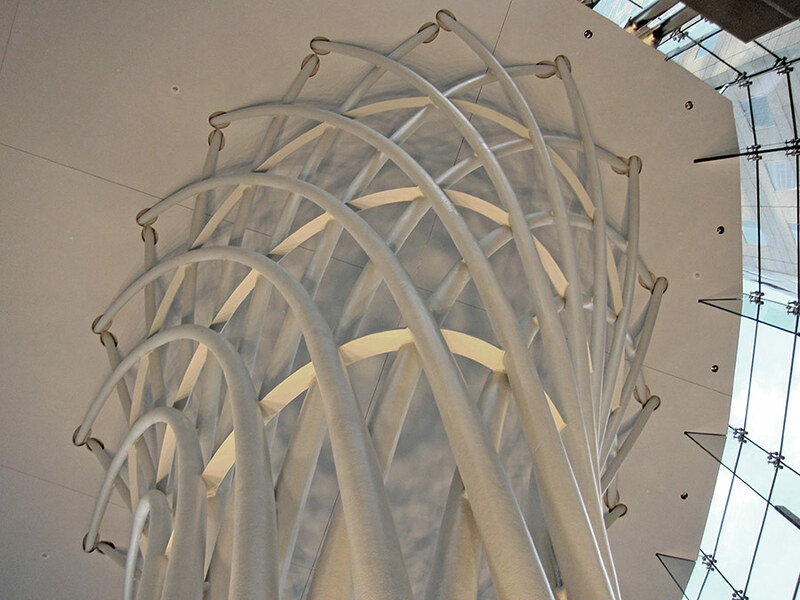 The West Concourse can be reached through a new glass atrium at Brookfield Place designed by Pelli Clarke Pelli and featuring pair of woven steel columns. 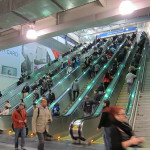 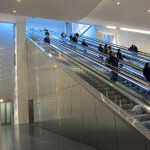 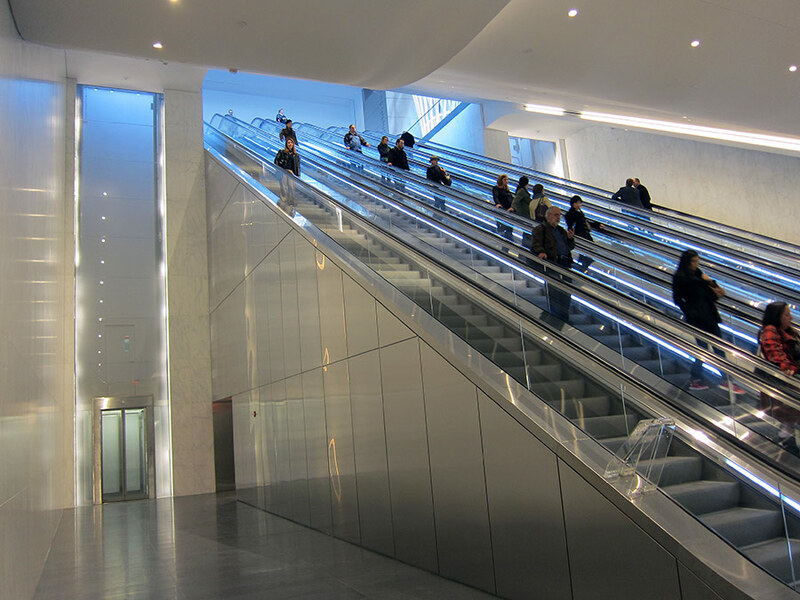 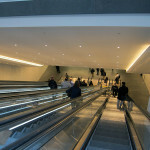 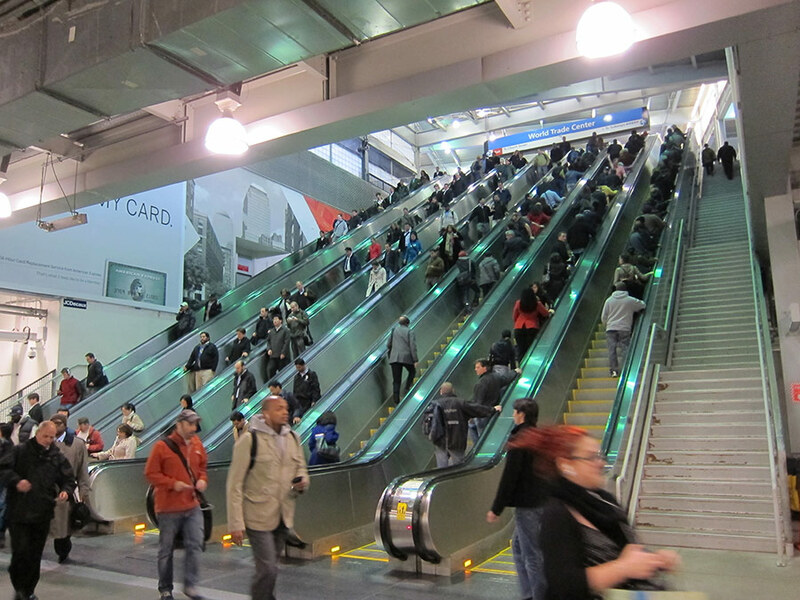 Plunging approximately 40 feet below grade, one continuous escalator leads thousands of daily commuters to the 600-foot-long corridor. 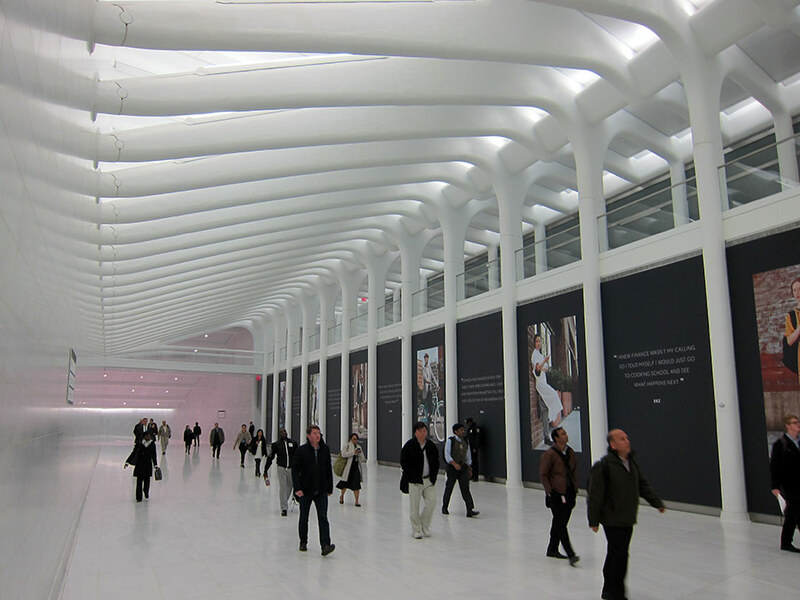 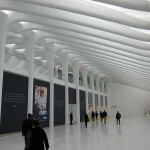 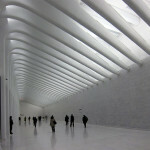 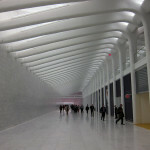 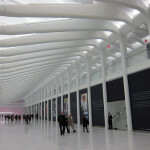 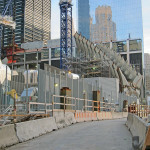 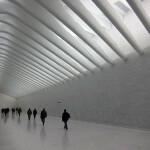 Eventually, the concourse will lead all the way to the hub’s oculus in the middle of the World Trade Center site. 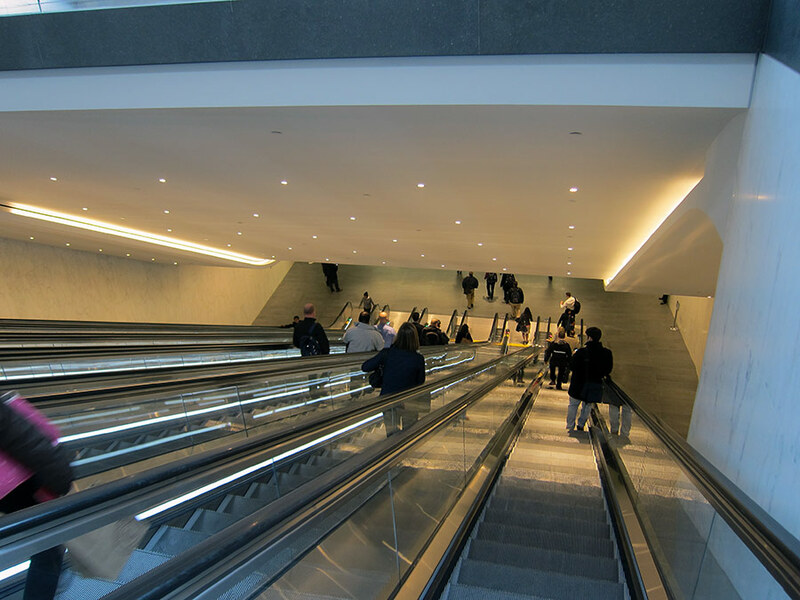 A massive retail mall will also line the underground corridors with hundreds of thousands of square feet of retail.